The saying goes "New Year, New You" so why not create a new look by accessorising your outfits with handmade jewellery? 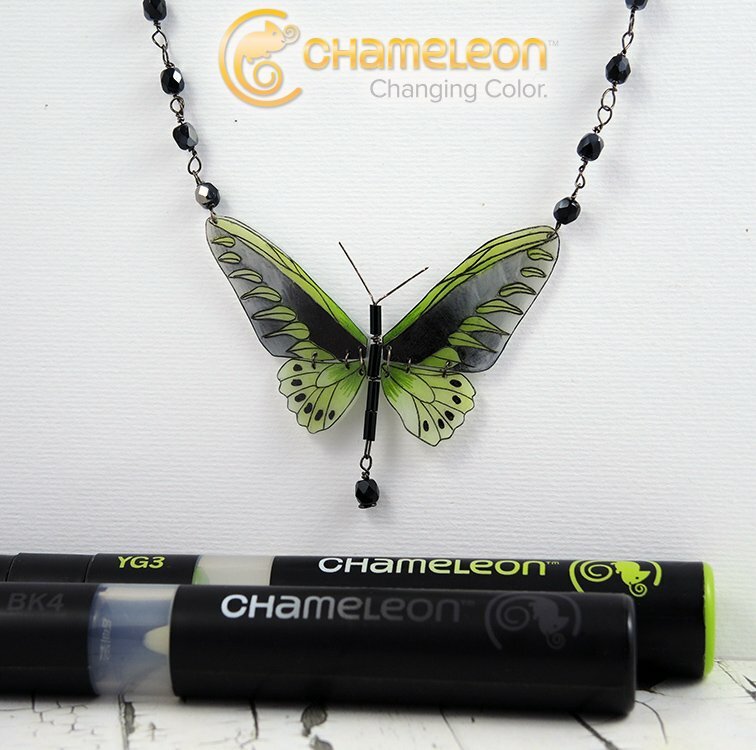 Today we are joined by guest designer Monica Maldarella, Monica is one of our design team alumini and has popped in to share this stunning butterfly necklace, colored with Chameleon Pens. Monica said "The shrinking plastic is a very versatile material and I have much fun with it. Chameleon pens are perfect to color it. For this project I got lots of shading using just two pens!" The butterfly is so pretty we couldn't resist showing you a close up picture too. 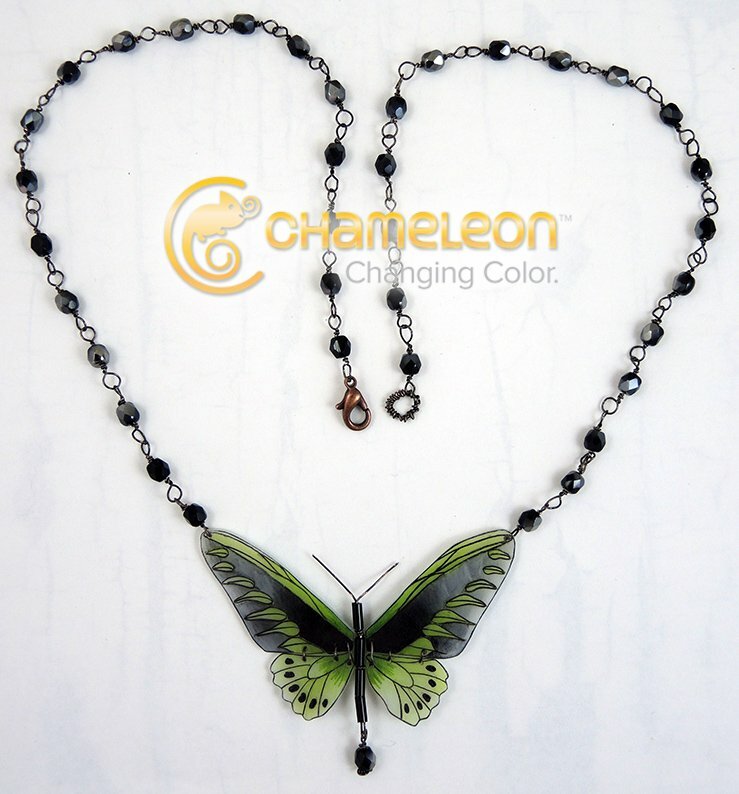 If you would like to recreate your own Butterfly Necklace you can download the instructions here.